You are here: Home / DIY / Ice Cream Party For Tweens + Cricut Explore Air Giveaway! 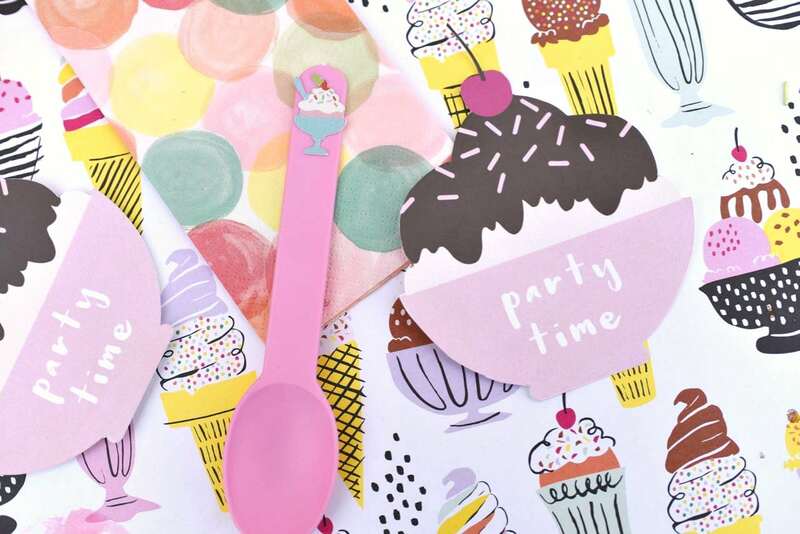 Ice Cream Party For Tweens + Cricut Explore Air Giveaway! 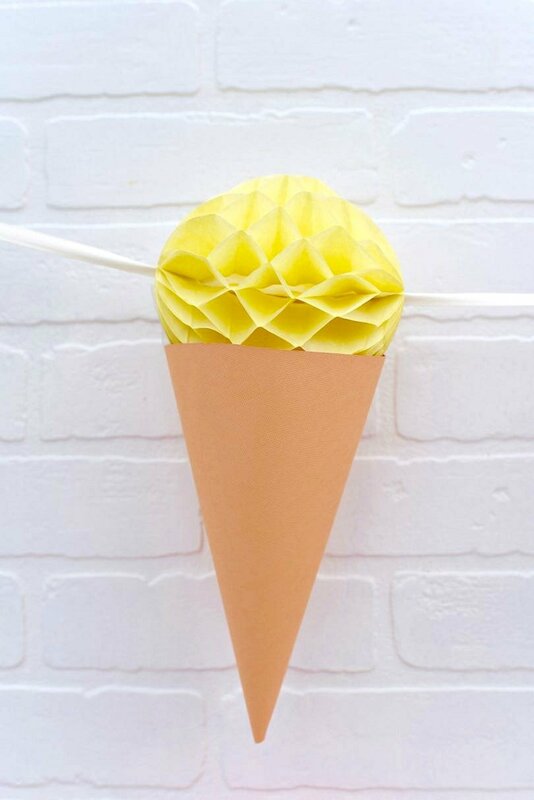 It just doesn’t get much better than a cool, sweet, dripping ice cream cone, does it? It just happens to be my favorite treat, which is one of the many reasons I’m SO excited to share our delicious ice cream party with you! This post contains affiliate links, which means when someone clicks on a link and makes a purchase, I receive a small commission at no extra cost to you. 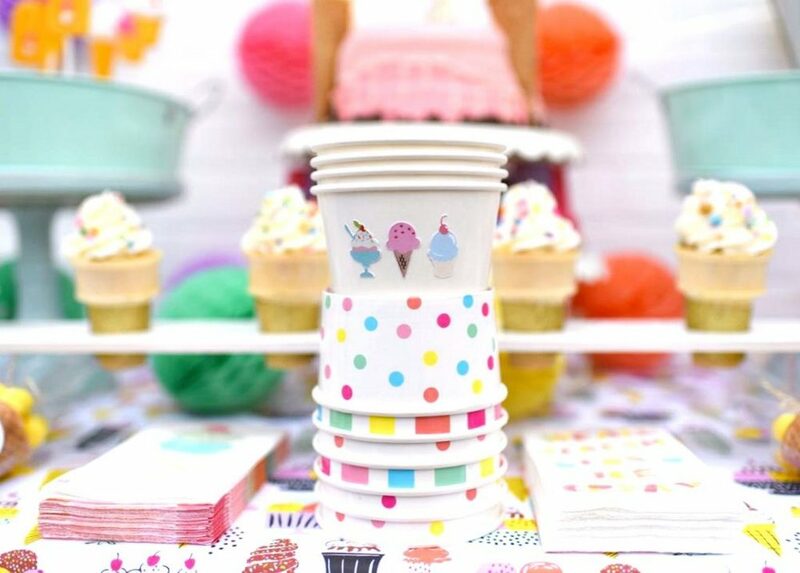 So many of the fun details of this party were made with my new Cricut Explore Air™ 2 machine. 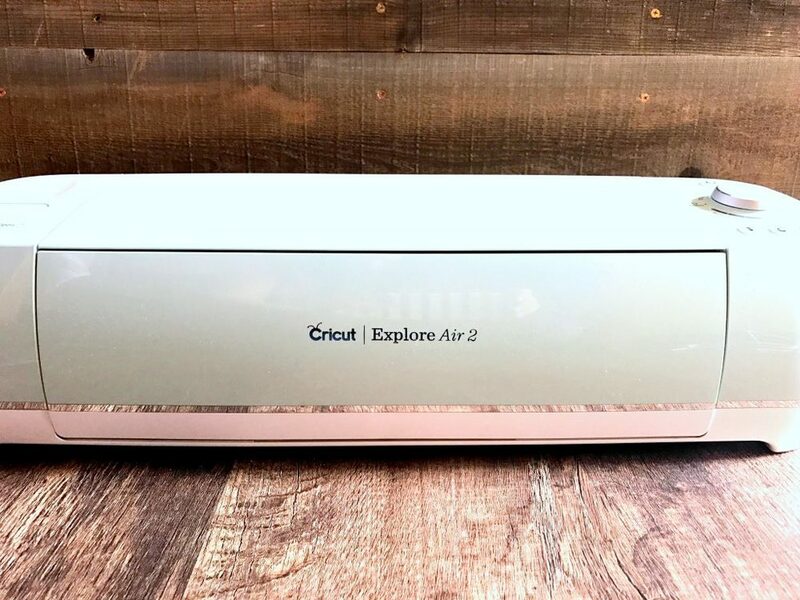 If you don’t have a Cricut Explore Air 2 (and trust me, you definitely want one! ), be sure to ENTER HERE! 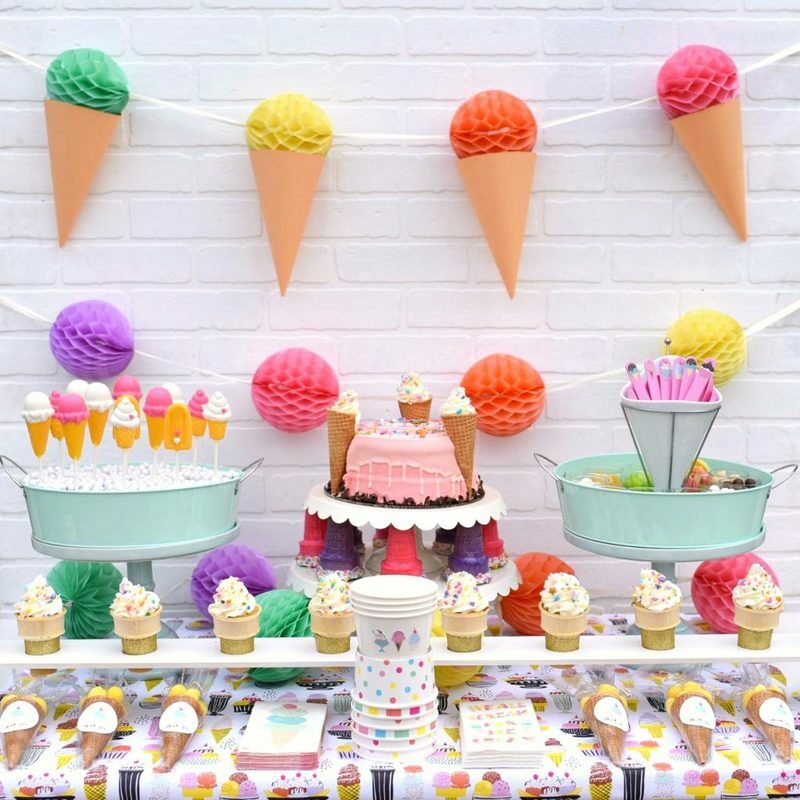 While this ice cream slumber party was planned for tweens, you can definitely use these ideas for a boy or girl ice cream party, a tween or teen ice cream party, or even an adult ice cream party. The possibilities are endless! Every party needs an invitation, which I think is one of the most important parts of the party. I created some darling invitations with my Cricut Explore Air 2 in about 10 minutes. It’s easy to customize any existing design in Cricut Design Space to get the exact size, color, and shape that you want to make almost anything that you need for your party. My mind is still spinning with all the party possibilities! Nope, not even close! 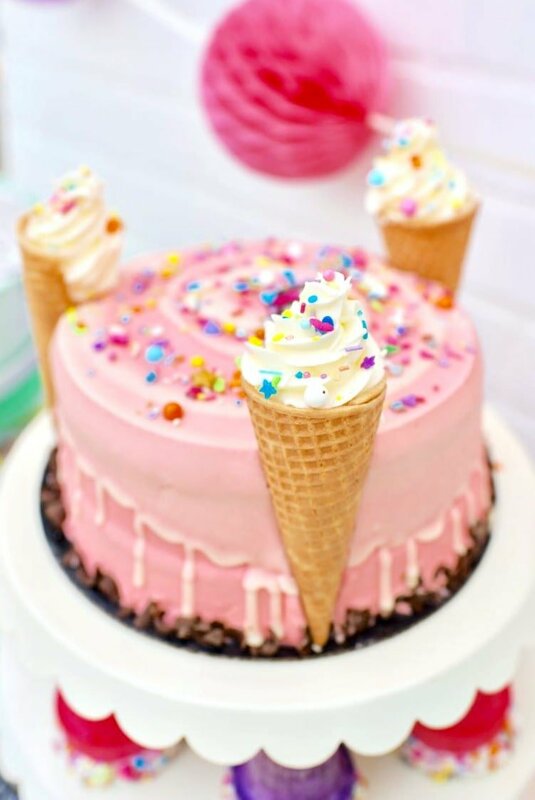 I used a grocery store cake that I got for half off, then tweaked it a little to turn it into they pretty pink ice cream cone cake in about 20 minutes for just a few bucks. 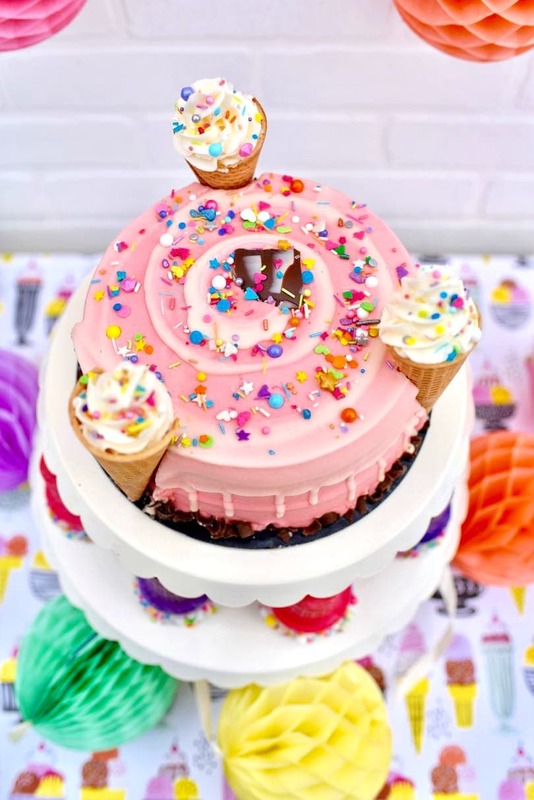 I’ll be sharing this ice cream cone cake grocery store hack with you soon! 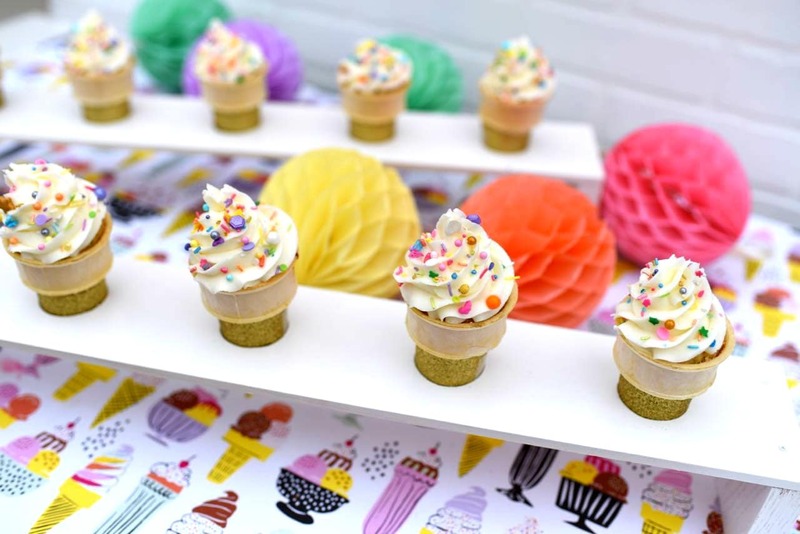 Underneath the cake were some colorful ice cream cones that were dipped in white chocolate, then sprinkles with unicorn sprinkles. Love how colorful and fun they are! 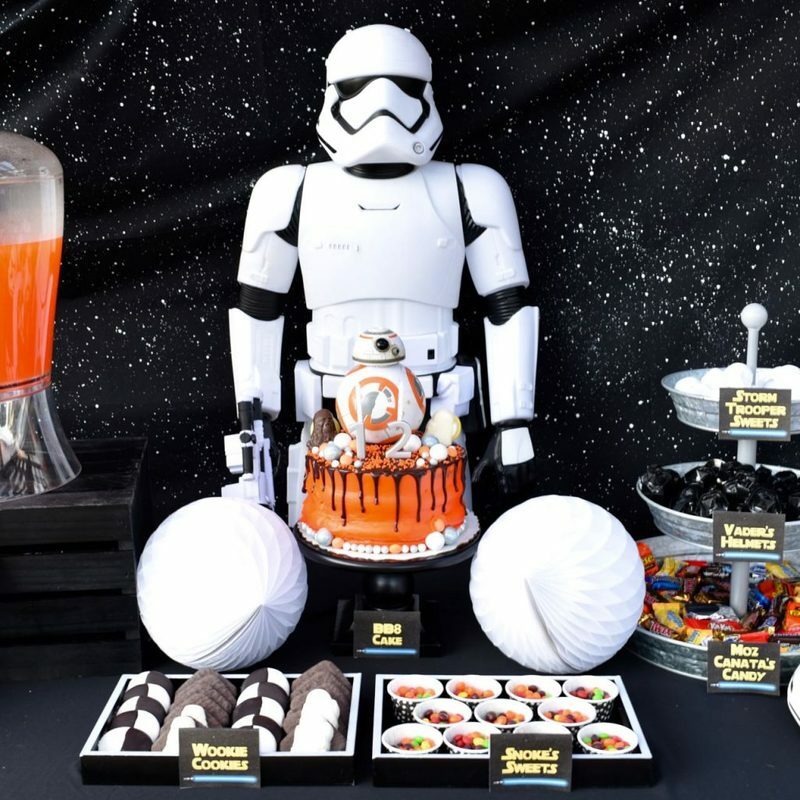 On both sides of the cake are two cake stands with some matching trays on top. 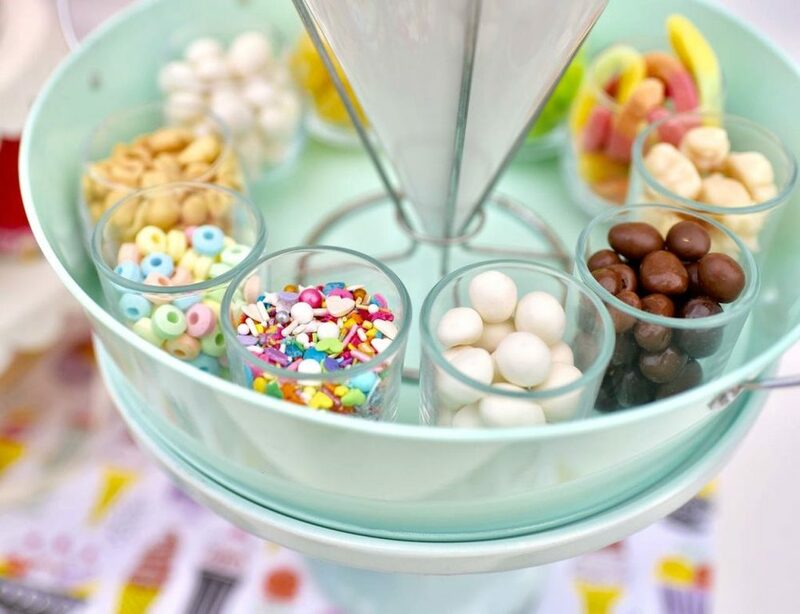 One tray held many small glass bowls, each filled with a different ice cream topping. Gummy worms, gummy bears, chocolate covered nuts, and unicorn sprinkle mix from Baker’s Party Shop were my daughter’s favorites! 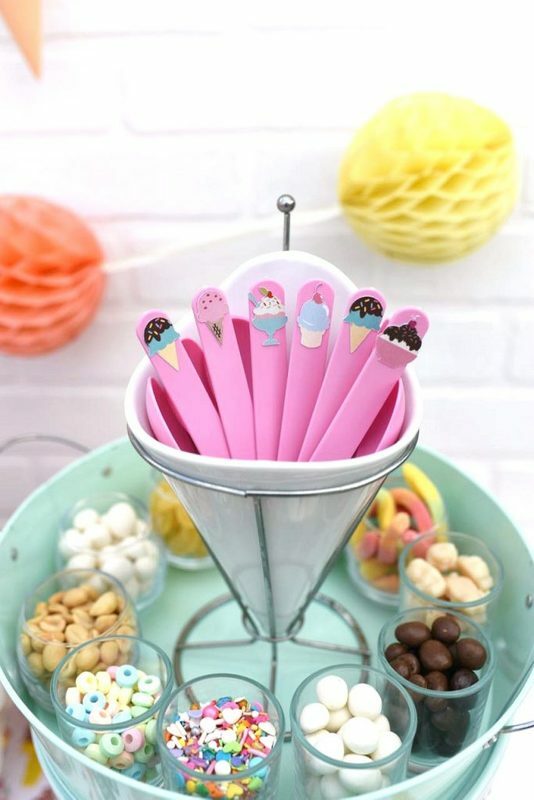 Did you notice those adorable pink spoons? Would you believe that I customized them using my Cricut Explore Air™ 2 machine? It was SO easy and I just love how sweet they are. I used the Print and Cut feature to make these darling little stickers, which means I printed them from my printer onto Cricut Sticker Paper, then ran the printed paper through my Cricut Explore Air 2, which cut each of these 1″ stickers just perfectly! I’ll show you exactly how I made these spoons in another tutorial post very soon, and I can guarantee that you’ll be surprised at how easy it is! 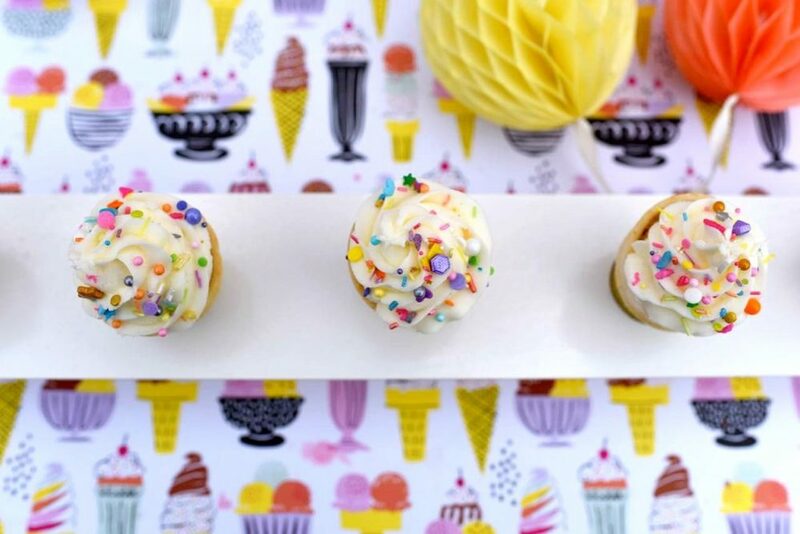 I used the same cute ice cream stickers to decorate some white ice cream cups. 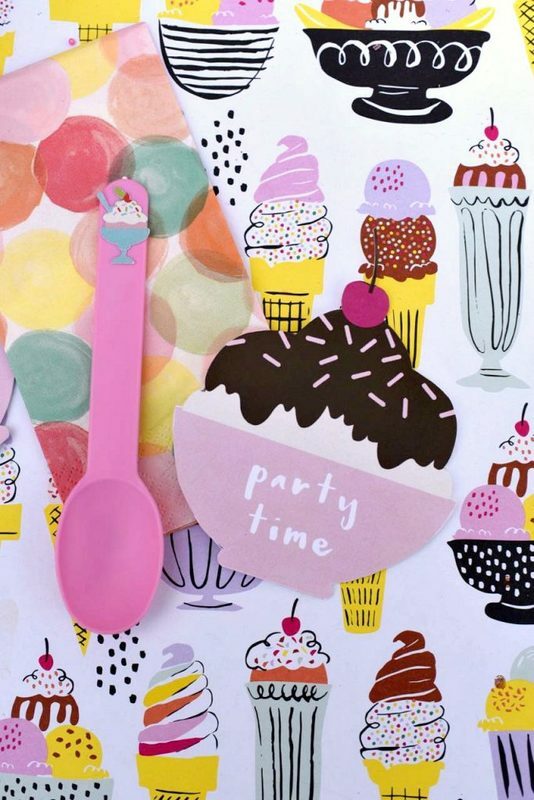 Custom stickers are such a great way to customize your party to your party theme, colors, and more! I kept some of the cups plain and let the girls decorate their own cups, which is a fun party activity for the girls. I even gave them some of the extra stickers to keep and stick on some of their own things. 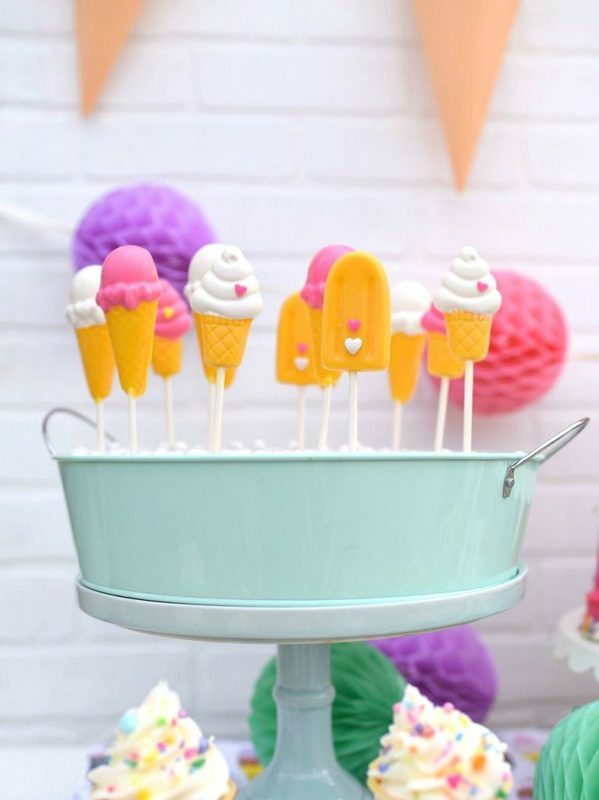 On the other cake stand and tray were some homemade ice cream lollipops I made from colored chocolate. Aren’t they so fun?! I placed the ice cream cone suckers in a piece of styrofoam that I cut to fit the tray, covered the foam with plastic wrap, covered that up with white candies, then stuck the suckers inside. Tutorial coming soon! 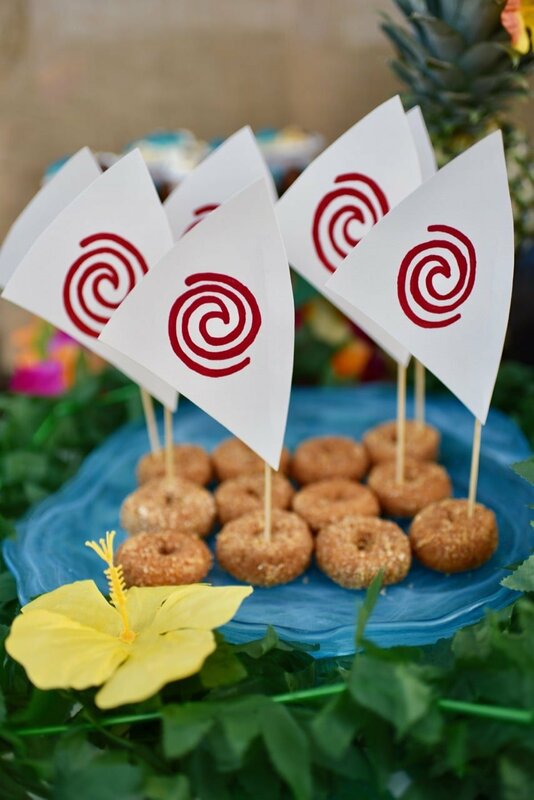 Let’s talk party favors, shall we? 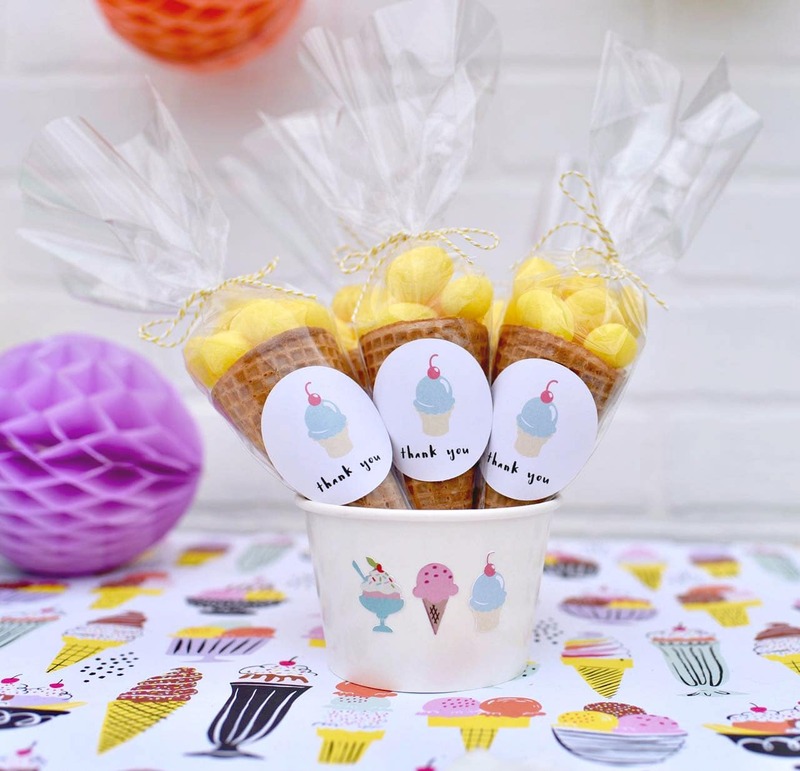 No party is complete without party favors, so I created these fun ice cream cone party favors in just a few minutes. Yep, the “thank you” stickers were made with my Cricut Explore Air 2. 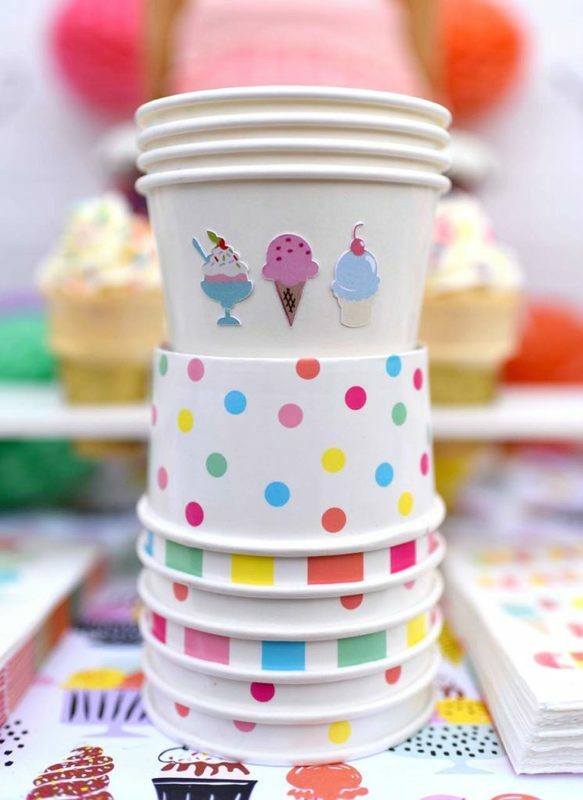 Did you notice that the ice cream cone on the stickers match some of the stickers on the cups and spoons? Love that! 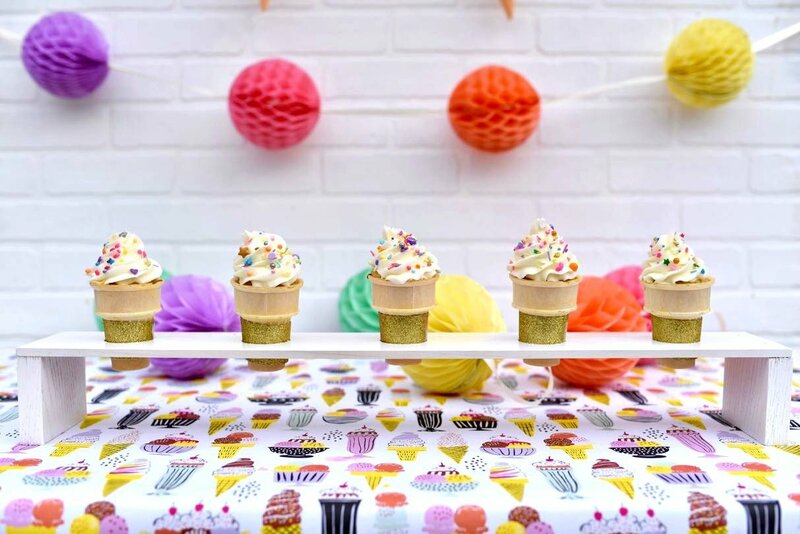 Another treat I made for the party are these darling ice cream cone cupcakes. I remember trying one of these as a kid, and being absolutely blown away by the fact that there was a cupcake baked inside the cone! 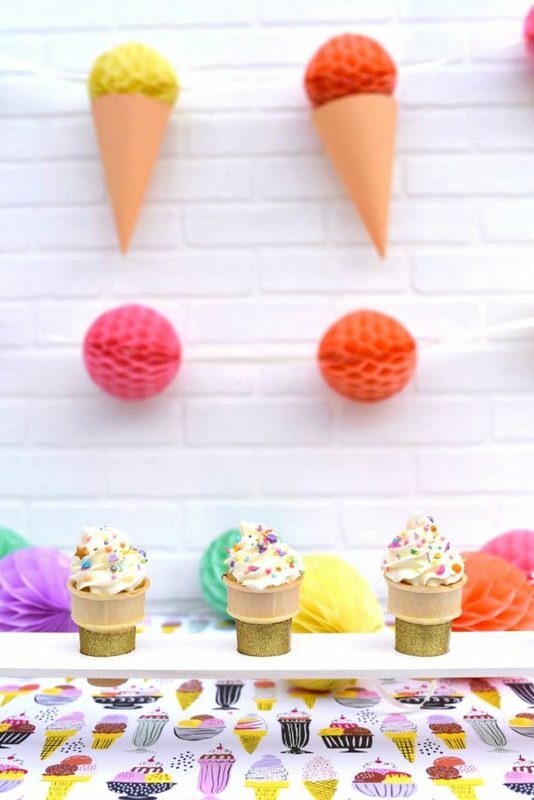 I made two custom DIY ice cream cone holders to hold these tasty treats. 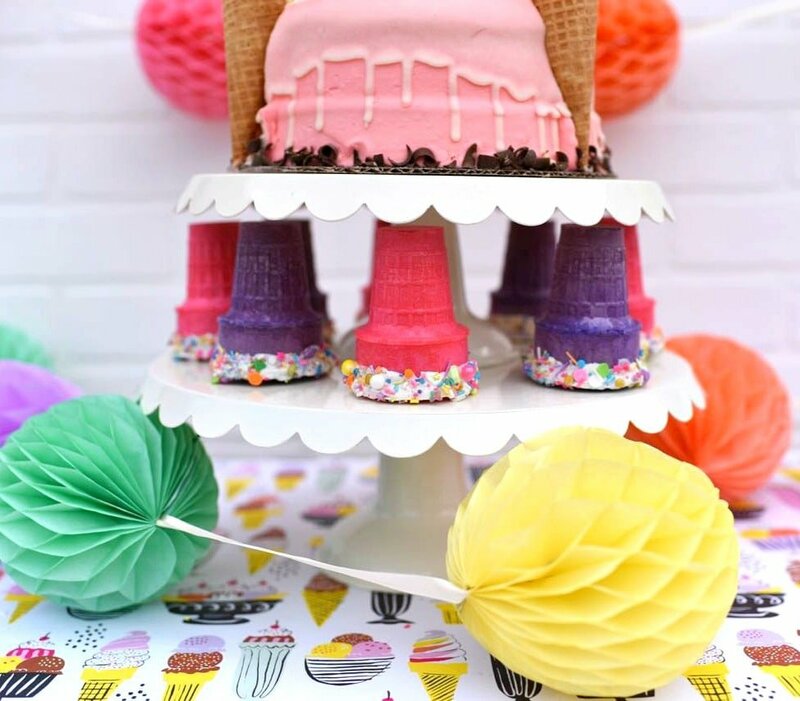 Can’t wait to share the tutorial for these ice cream cone stands soon! Honeycomb tissue balls were hung above the table. 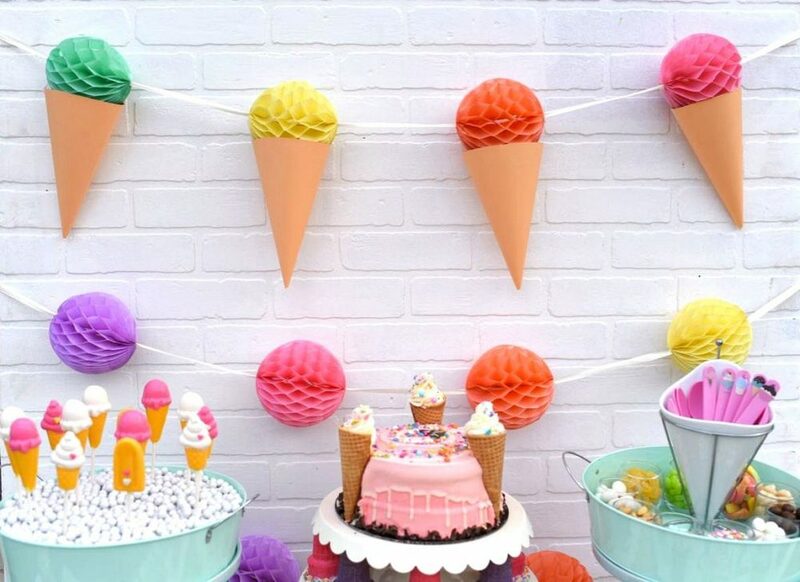 I cut out cone shapes and taped them onto the top row of tissue balls so they looked like ice cream cones to match the party. My daughter was SO excited about her ice cream party! And I’m even more excited to give you the chance to win a brand new Cricut Explore Air™ 2 machine!! There are so many things you can do and make with this incredible machine. Enter to WIN a brand new Cricut Explore Air 2 machine HERE. 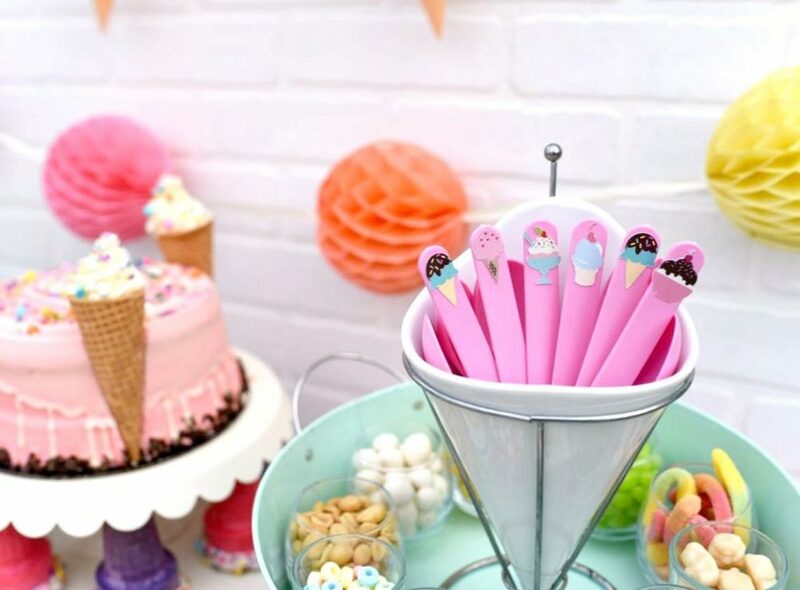 Stay tuned for all the ice cream party tutorials coming your way! 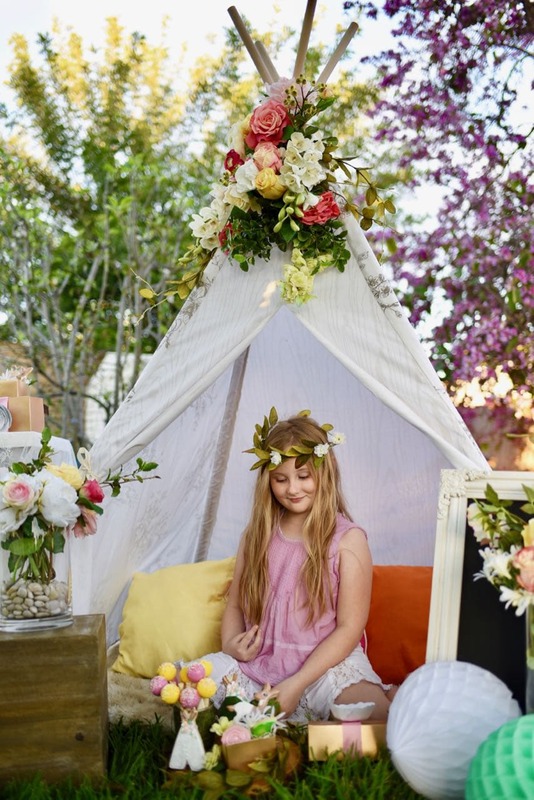 Be sure to follow on Instagram, Pinterest, and Facebook for more creative parties, crafts, and recipes. Thanks for following! So many sweet details! 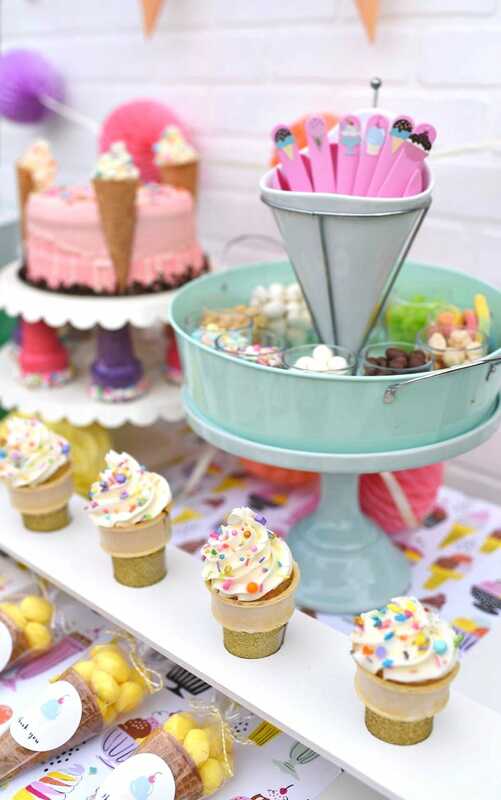 Really love the upside down ice cream cones for a cake stand–brilliant idea!